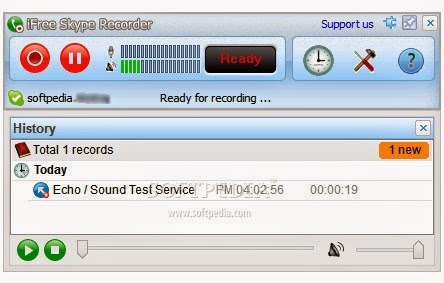 iFree Skype Recorder was developed as an easy-to-use and accessible software for recording Skype calls. All you have to do is launch the application and press the ‘Record’ button every time you start a new voice conversation. * Store your calls to MP3 format (Using Lame MP3 Encoder). * Easy to track record history.